Amy wants to be back under the sun in Portugal. However, when her suggestion is overruled in favour of a skiing holiday, even she can't turn it down. What she couldn't have predicted is that the holiday could make her break the one, and only, rule she has: not to get into a serious relationship again. When Amy first sees Luke, she knows something is wrong. He's struggling to cope with everything and her need to help people makes him the perfect distraction from the cold. He hasn't been to the Alps in five years and he swore to never ski again. But as his defences are broken by Amy's persistence, the winter paradise begins to reawaken his desires. However, with constant flashbacks triggering his anxiety, he's torn, battling conflicting emotions as he becomes increasingly captivated by Amy. She has a rule though. She didn't go on holiday to fall for someone and the last thing she needs is to ignore her own advice. Whether or not she can move past her insecurities will depend on whether Luke can face his biggest fear. 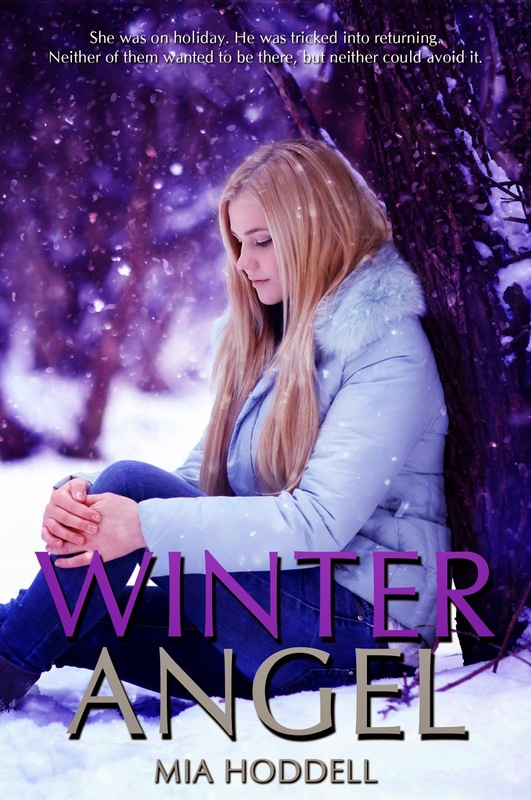 Winter Angel is a standalone, young adult romance novella, but is the second book in the Seasons of Change series. You can also download Summer Demons: the first, bestselling, standalone novella in the Seasons of Change series for 99c / 77p. Sounds like a great read. I like the idea of reading about winter to cool off from all this humidity. :) Thanks for sharing!